ACADEMIC RANK: Assistant/Associate Professor (anticipated), twelve-month, tenure track appointment, research (80%) and extension/outreach (20%) responsibilities. WORK LOCATION: The position will be based at the Tom H. Scott Research and Extension Center near Winnsboro, LA, one of three research stations in the Northeast Region of the state. These three field stations include over 1,000 acres of row crops, with research and extension demonstration activities on agronomic production and integrated pest management of arthropods, plant pathogens, and weeds. Laboratory and office space will be available at the research station and in the Department of Entomology on the Louisiana State University campus in Baton Rouge, LA. POSITION DESCRIPTION: The successful candidate will work with growers, commodity organizations, consultants, and industry partners to develop a nationally and internationally recognized, extramurally funded research program that addresses the management of insect pests of field crops in northeast Louisiana, including corn, cotton, soybean, and grain sorghum. The extension component will also include statewide contact responsibilities for one or more of these primary commodities. Research priorities include development, refinement, and implementation of plant protection strategies for existing and emerging pest issues. 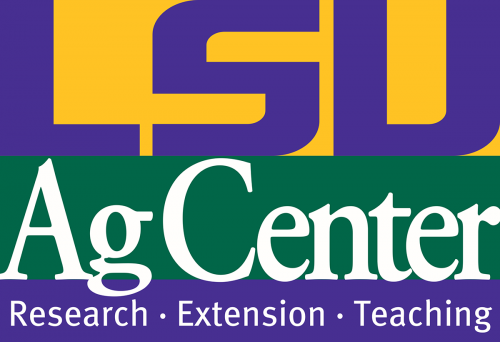 Collaboration with research and extension faculty within Louisiana, as well as with national experts on issues of shared interest and importance, will be expected. Formal participation in multi-disciplinary, regional, and national research initiatives will be encouraged. QUALIFICATION REQUIREMENTS: Ph.D. in entomology or other closely related field of study with a working knowledge of U.S. field crop arthropod biology and ecology is required. Familiarity with field crop IPM, surveys of pesticide-resistant insect populations, evaluation of transgenic crops, agronomic production practices, and mentoring of students is preferred. Applicants should have demonstrated effective oral, written and electronic communication skills. Evidence of successful grantsmanship, research activity, and stakeholder interaction will be important considerations. SALARY AND BENEFITS: Salary will be commensurate with qualifications and experience. LSU has an attractive benefits package with a wide variety of benefit options. Benefits offered include retirement, multiple medical insurance options, supplemental insurances (dental, life, long-term disability, accident, vision, long-term care, etc. ), Tax Saver Flexible Benefits Plan (saves tax dollars on some child care and medical expenses), university holidays (14 per year, typically includes a week off at Christmas), generous annual (vacation) and sick leave benefits, Employee Assistance Program, and possible educational leave and tuition exemption for coursework at campuses of the LSU System. Specific benefits depend on job category, percent effort and length of employment.